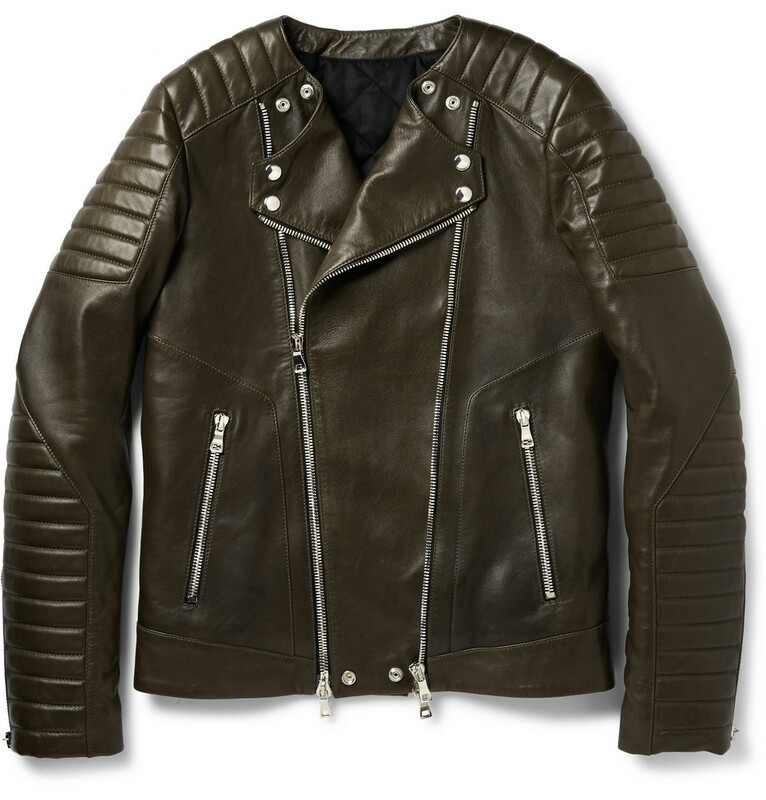 A handsome combination of soft, smooth leather and motocross quilted details makes this Balmain biker jacket a classic investment. Faultlessly crafted in a dark army-green colour punctuated with silver zips and studs, a quilted cotton lining lends the rugged style a touch of luxury. Balance the look with a knitted sweater and black pants ($5,665).